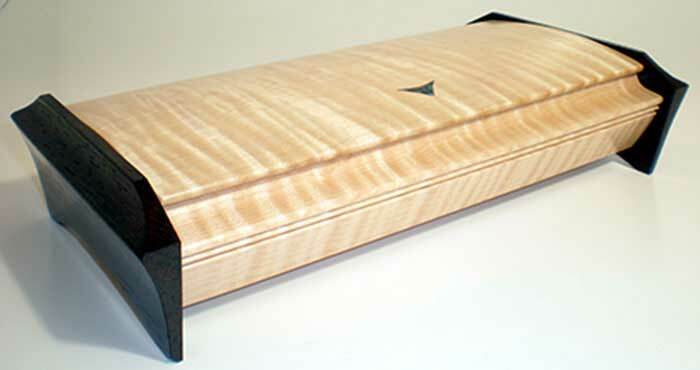 Handmade wooden desk box by Mikutowski Woodworking in curley maple (shown) with wenge end caps. Top of box inlaid with triangular abalone shell design. Also available in bubinga, birdseye maple, cherry, purpleheart, Bolivian rosewood and walnut. Size: 10" x 5.25" x 2.375"